Those words signal something delicious for sure!! We happened across the Patron Coffee flavored tequila a few months back and have been obsessed with it since then. I love cold brew coffee and so I just thought it fitting to make a coffee drink with it. 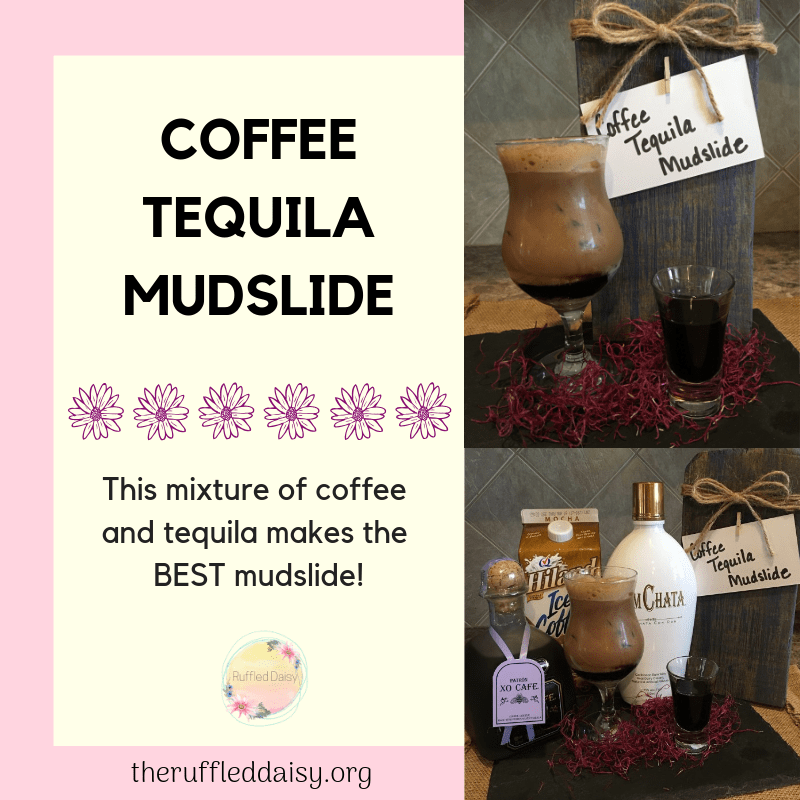 Here’s how you can make your own Coffee Tequila Mudslide with just a few simple ingredients! 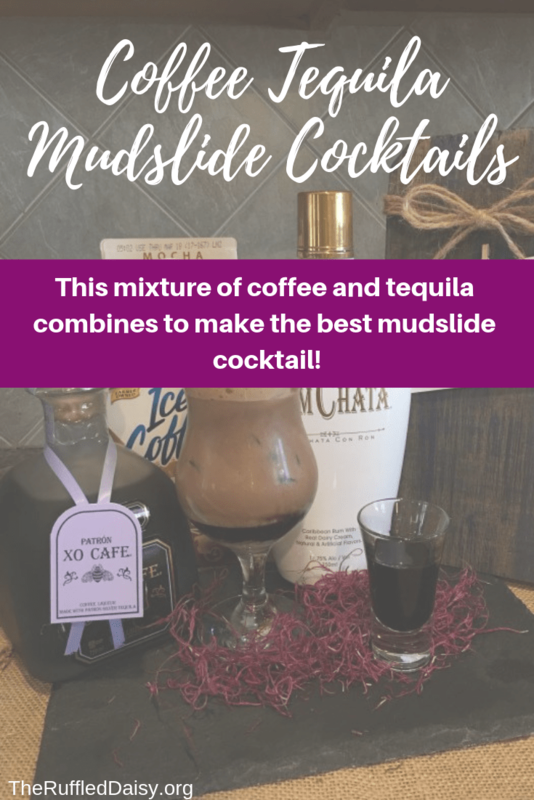 All you need is Rumchata, Hiland Iced Coffee (we used the vanilla one but you can use the mocha too – I’m sure that would be heavenly), and the Patron Coffee tequila. One shot of tequila, one shot of Rumchata and then the glass is topped off with the Iced Coffee! This is a great drink to have with friends. If you’re entertaining, you’re gonna want to add this to your list of drinks. You’ll be the talk of all your friends, I’m promise! If you’re daring – add two shots of tequila! It’s that good! Does this drink look like something you would enjoy to make? I’d love for you to share it with your friends on social media and PIN it so you have it for later! If you like what you see on this page, I’d love for you to join my mailing list HERE! When you join, I’ll send you my FREE Home Decor Holiday Printables that you can immediately download. Just my way of saying “thank you” and encouraging you to live your best life! !